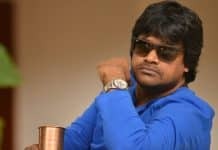 When his wife was pregnant, Kalamandir Kalyan (Sivajiraja) had a deep yearning for a baby girl but the couple had been blessed with a baby boy (Naga Shaurya). Throughout the childhood, Sivaji raises the boy dressed like a girl which impacts the boy’s behavior. Naga Shaurya runs a self-defense training school for women. He loves an innocent girl Manasa ( Kashmira ), but webs into a one-way love triangle with Satya ( Yamini). Jayaprakash Reddy is the father of Satya, Naga Shaurya has been forced to stay at her home due to sivajiraja’s confusion. 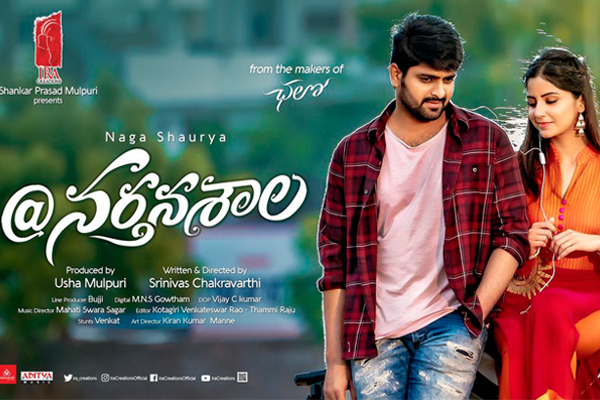 The love story turns crazier after JP’s son Ajay also falls in love with Naga Shaurya thinking he is gay. Naga Shaurya performance wise had a few moments as a gay, otherwise his characterization in this film offers no big scope to perform. New heroine Kashmira , Yamini are looks wise adequate but got very limited screen time. We may call them as guest appearance heroines rather than heroines in this film – which isn’t their fault but the director. Sivajiraja and Jayaprakash Reddy got major screen time, but due to poor comedy dialogues, makeup they fail to impress. Other support characters irritate as and when get their turn. 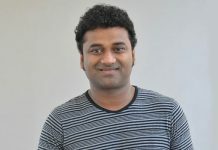 The central point, the protagonist playing a gay role, is new to Telugu audience. Hence it offers a different backdrop storyline. In addition, the unique concept “three people (two women, one man) loving the hero ” gives scope for unlimited fun – given the director had a minimum talent in executing comedy genre. While the team had succeeded in making a right “attempt” , they fallen short in execution. The director appears very poor in comedy timing, ended up in extracting loud old-school acting from JP and Sivajiraja because of the insipid script. In the first place, Hero’s characterization is unjustified. Did he really develop gay characteristics due to his upbringing or is he just pretending as a gay in the JP’s house? The final answer is he isn’t a gay but the audience may not understand why the director tries to establish that childhood circumstances forced Naga to become a gay. Makers should be appreciated for not resorting to any cheap stuff given the gay backdrop. Production values are good, IRA creations spent lavishly on songs. The rich visuals in the songs turned out to be a plus for the film. Shot in exotic Italy like locations, plus fuelled by heroines’ glamour, songs get good marks in this film. The first half goes on setting up the premise, it is of short 60 minutes in duration. Director, dialogue writer try to make us laugh in every frame but they couldn’t impress. The core point has been dealt in the second half, it offers some laughs to a very limited section of the audience who satisfy easily with anything under the name of comedy. ‘ Nartanasala ‘ is a farcical gay comedy film. It has four visually rich songs which are an attraction to the film relatively. The drawbacks are the weak script, the comedy that may appeal only to a limited section of the audience. A disappointment from the makers of CHALO !